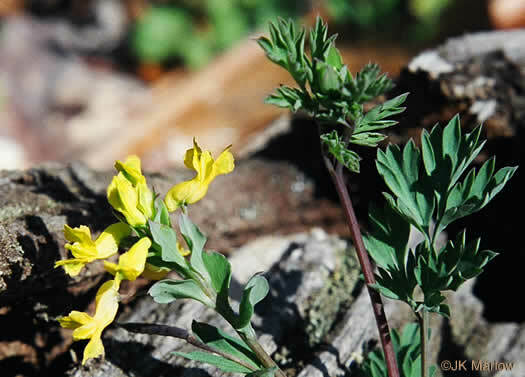 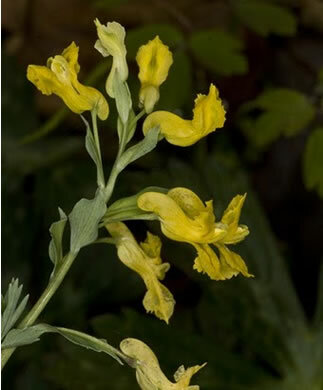 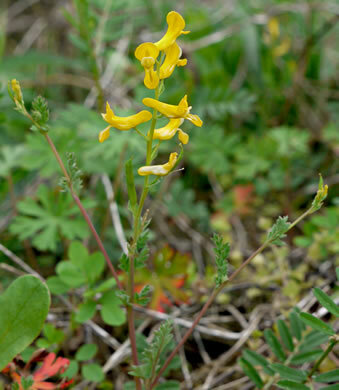 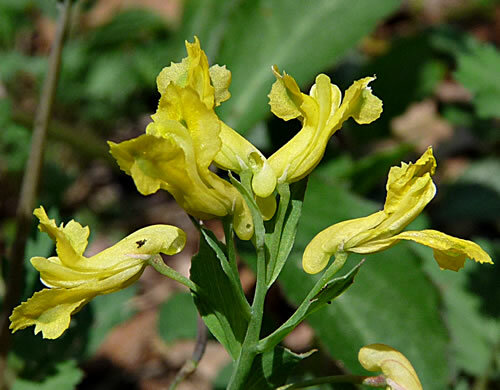 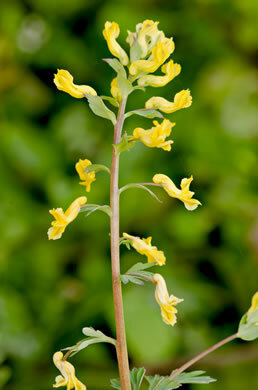 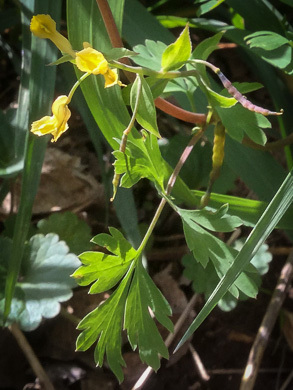 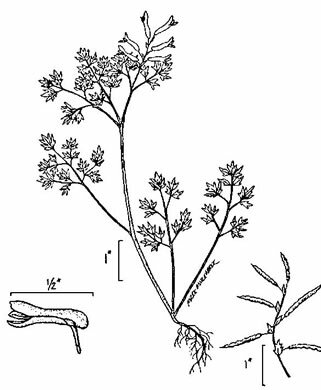 The 3/8" flowers have a short spur that is turned downward at the end, per Wildflowers of the Southern Mountains. 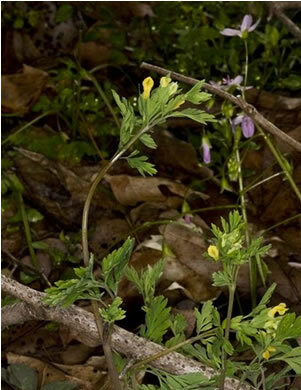 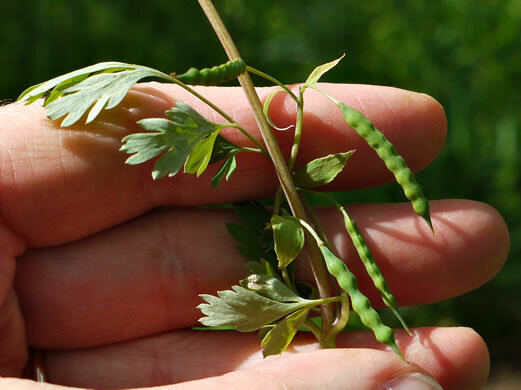 Lower leaves finely dissected on long stalks, reduced in size upwards, per Wildflowers of Tennessee, the Ohio Valley, and the Southern Appalachians. 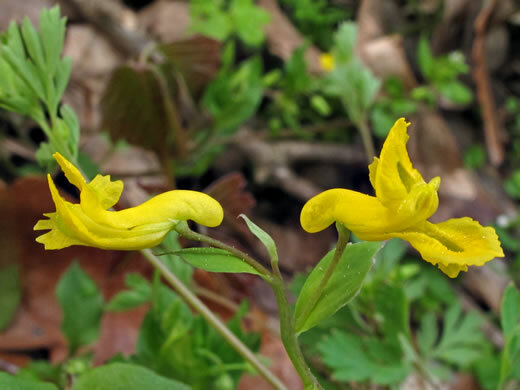 Upper petal has a toothed crest and the corolla has a short spur, per Wildflowers of Tennessee, the Ohio Valley, and the Southern Appalachians. 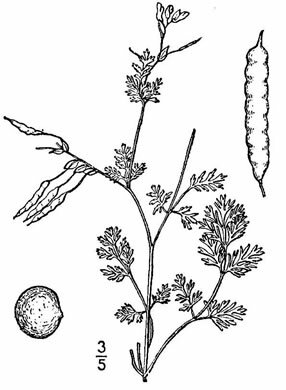 Fruits pendent or divergent, per Weakley's Flora.